You only need six ingredients to make these simple paleo pancakes! 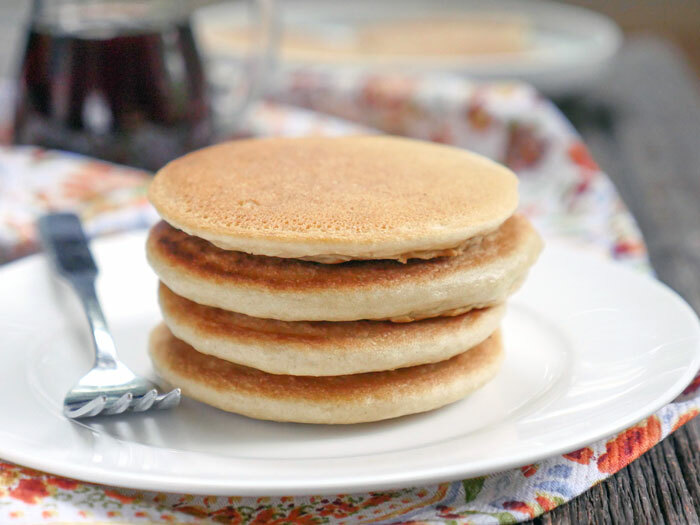 They’re grain-free, dairy-free and they taste like REAL pancakes! 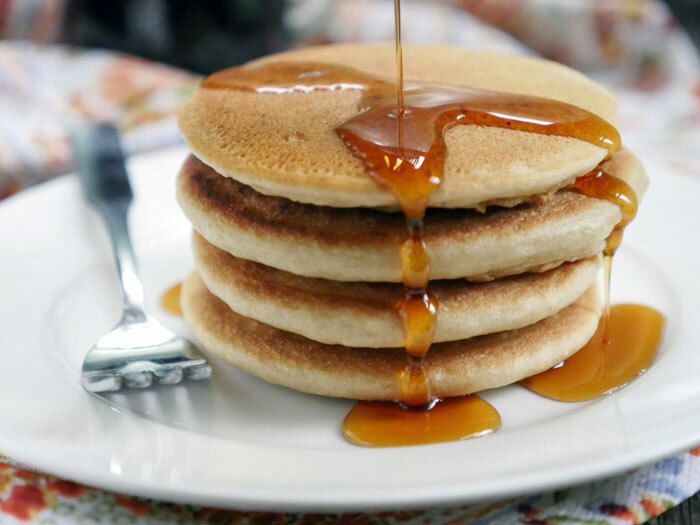 These pancakes are fluffy and filling and I’m so excited to share the recipe with all of you! Finally! 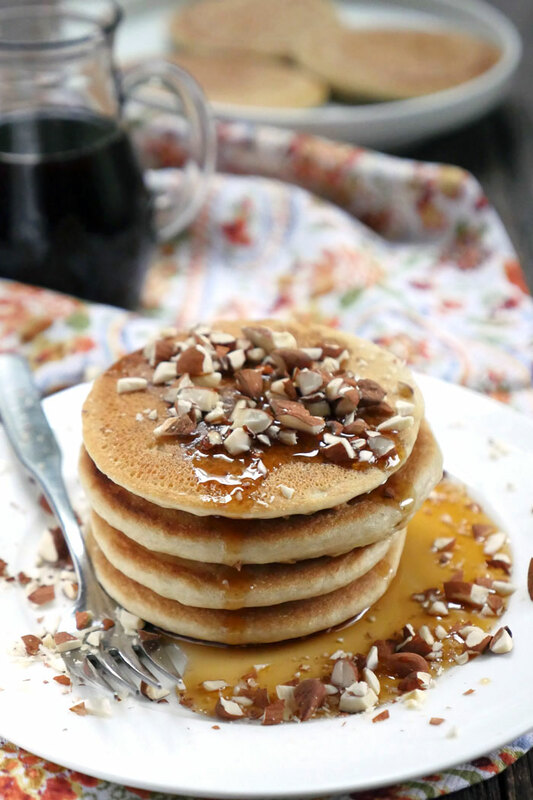 I’m sharing a recipe for the fluffiest paleo pancakes! I have been working on perfecting paleo pancakes for what seems like forever now. I wanted my recipe to call for as few ingredients as possible AND still taste like real pancakes. A pretty tough task when you’re trying to make pancakes that are both grain-free and dairy-free. 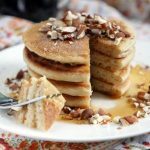 This recipe for simple paleo pancakes makes seven small, fluffy and filling pancakes – enough to feed 2-3 hungry people! It only took me THREE years (note the sarcasm) of gluten-free food blogging, to share a recipe for paleo pancakes. I finally feel like a legit food blogger. In my mind – there are certain recipes every food blogger must master within their niche to be considered legit at what they do: chocolate cake (not to brag but… mine is the best), banana bread, brownies, cookies (I have a bunch in my dessert section!) and pancakes. Is there anything I’m missing? You can fill ’em up with chocolate chips, blueberries – whatever you want. Likewise, have fun with the toppings. Some possibilities: grassfed butter, maple syrup, chopped fruit or nuts. One strong suggestion… if you’re against using a non-stick pan or griddle… I HIGHLY recommend this steel crepe pan. I don’t know how I’ve gone without it in my kitchen. It’s one of the best purchases I’ve made (right up there with my Instant Pot) and the crepe pan is super affordable. Season it really well just once and you’ve got what’s basically non-stick steel. It’s way better than a cast iron skillet. Yep. I went there. Alright, get the six ingredients listed below and then get started on making and eating these pancakes! Preheat a seasoned crepe pan over low heat (I have and LOVE this pan). Combine all of the ingredients together in a blender and combine well. Pour ¼ cup batter onto a crepe pan over low heat. Once the batter begins to bubble at the top, flip it over and cook for another 1-2 minutes. Repeat until the batter is done. I love you and your recipes better than all.the other paleo recipe sites! These pancakes are delicious, even though mine weren’t as beautiful as yours! They still tasted great. I must need a better pan as you suggested! You have the best, simple paleo recipes. I love your 2 ingredient roti and naan bread so much! They make the sting of going gluten free bearable! I do wish you’d develop a bread that I could slice for a sandwich, toast for breakfast and even eat by itself! Other than that, I just dont need any other cookbooks besides yours! Thanks for sharing your life and your recipes with everyone! Thank you so much for the sweet words, Cathey!! You made my day! 🙂 I’ll be sure to add sliceable paleo bread to my must-make list! I definitely agree! Love all your recipes because they are simple and easy ingredients to find in your pantry. That’s what makes them beautiful! I hate pancakes really I do, when when I used to eat gluten! But these pancakes are phenomenal and will be a staple in my diet! Thank you! Thanks Sarah! I’m so happy to hear that you love my recipes and these pancakes!! Is desiccated coconut powder the same as coconut flour? If not, can you suggest a substitute for coconut flour? I would love to make these! They are not the same – and coconut flour is pretty unique so I don’t know of any substitutes for it! Hi. Thanks for the recipe. Just found your site and have bookmarked. We are new to the grain and Paleo and are enjoying finding a new way of eating. I made these pancakes yesterday morning for my daughter, she spit them out. I added a pinch of salt, vanilla, blueberry, and toasted pecans to the batter. Everything else I followed to the specs. She spit them out because she said they had a”sour” taste. I didn’t notice at first but when I went back and tasted, there was a very distinct bitter note on the finish of these pancakes. Once I noticed it, it stood out big time. Any ideas on this flavor? I was thinking it was the tapioca starch as we are new to this ingredient and seemed to be the only culprit. It is from Bob’s red Mill. As a side note. I made some other pancakes this morning with almond flour mainly with about 15percent coconut and no tapioca. She ate the whole plate. It could be the baking soda. I have cut it in half and I’m thinking of using just 1/4 tsp next time because these taste like baking soda. I noticed a strong taste of baking soda as well. Loved how fluffy they were so will try again with less baking soda next time. A common baking mistake is not incorporating the baking soda in well enough. I do try to use a mesh strainer to ensure lump free baking soda. I used this recipe, and after the dry were mixed, I used the mesh strainer to be sure everything was incorporated very well. I didn’t want to reduce the soda, because you get so much lift from the product. I had the same issue. Way too much baking soda flavor. We use Bob’s Red mill baking soda. Maybe the variance between sour vs not is related? Just a thought! Also check your ingredients. I’m pretty sure tapioca starch is not the same as tapioca flour. Loved the recipe. These have a great flavor. They were a little more dense than what I was expecting. Is there a way to lighten them a touch? Also, if I wanted to sub a couple of ripe bananas, what would you suggest? This version but banana would be the bomb! I’m really loving these and have made them twice. The only variation in my prep work is that I seperate my eggs and beat the whites into whipped light air before folding in the batter and I noticed the pancakes have a lighter texture and not dense. I changed no ingredients so 2 thumbs up and hubby is diabetic and can eat these no problem so he is happy. Much thanks ! Best paleo pancakes ever. I have been trying different recipes over the last couple years and this is the only one that we plan to make again. I also noticed a bit of a funky after taste but I know for a fact its my baking soda. Its old and i didnt use a blender. So some bites had more than others. This was a hit for the whole family! I’m really glad we stumbled upon your site! Winner, winner.. pancake…. well you know. What a great recipe. Thanks for doing the research and trial and error testing. Really great! definitely my go to for now on. Do you think it would work to sub the eggs for either flax, gelatin or chia eggs? Thank you! These paleo pancake is the best ever recipe!i added smashed banana & pinch of organic vanilla coz it taste a good flavor. light & fluffy! delicious. thumbs up. I’m so happy to hear that!! And I’m going to try adding those two ingredients next time, yum! You killed it! These are great and my kids love them! Thanks so much for your hard work it tastes delicious! Made these for breakfast today and was pleased. I used dried almond milk pulp instead of flour so the batter was quite thick, but very tasty with a nice texture. I think I’ll double the batch next time and share with the kids. Always looking for something to do with that pulp. I was feeling in the pancake mood yesterday so I made a batch of these for myself. They were delicious. Thank you once more Ashley your recipies are fantastic. So happy to hear that! Thanks for letting me know how they turned out for you, Judith! Most of your recipes for baking use almond flour. Could I substitute cassava flour for almond flour in most recipes? Hi Sarah, I am not familiar with cassava flour – hopefully another reader can help answer your question. Better off subbing cassava flour for wheat flour in a traditional pancake recipe. It is a 1:1 substitute. I use it as a sub in baked goods, breads, tortillas, etc. Can’t find cassava flour where I live. Always have to order online. On another note- Happy National Pancake Day. Will be trying these pancakes tonight for breakfast for dinner! Like someone else said, mine weren’t nearly as pretty as yours, but WOW! Awesome recipe! I had an after dinner craving and these more than hit the spot. Halved the recipe for a quick personal snack and had everyone in the house wanting pancakes by the time they were done! Will be making double the recipe tomorrow. Thank you for restoring my ability to eat nummy, guilt free (well…aside from the maple syrup the poor things were drowning in) pancakes! My three kids and I just finished a double batch of these and LOVED them! I’ve tried so many paleo pancake recipes and they’ve never turned out as “normal” as these (usually really flat and take forever to cook). I took the advice from another comment and beat the egg whites, separately, before beating them into the batter. We’ll definitely make these again! The first time we made this recipe I followed it to the letter, which resulted in an AMAZING, fluffy texture and wonderful flavor -until we got to the aftertaste, which was very overwhelming and metallic. I assumed it was too much baking soda, but to give the creator credit, maybe it was the brand of baking soda I used. The second time I made the recipe I used a different brand of baking soda, reduced it to 1/2 teaspoon, and added 3/4 teaspoon of lemon juice to the recipe to activate the baking soda. The revised recipe created a wonderful, fluffy pancake with an amazing flavor, and won rave reviews from my son, who said these are his new favorite meal! Thanks for helping our family to have delicious, healthy meals! These are amazing 😩😩!!!! I’ve been looking for a pancake that actually taste good! Thank you for this! I tried to give this five stars but it would let me. Definitely five stars!! I had to follow your link to the crepe pan out of curiosity! Do you know if it works well for making roti? We have a legit Indian roti pan and I’ve been asked several times over the years by friends and family where to find a “roti pan” or if they can just use their cast iron skillet? This seems like it’s pretty close in comparison and sells for a reasonable price! Oh my gosh – thank you!!! This is my new favorite pancake recipe! It works great even with my “budget” level almond flour (which is more like almond meal, not the super expensive, fine-ground blanched almond flour). I do agree that it has a baking soda taste, but I DON’T CARE!!! My tummy is doing cartwheels of joy! Hi Nannette! I’m so glad you found my blog 🙂 I hope you love every recipe that you try! What if can’t use coconut flour or milk? 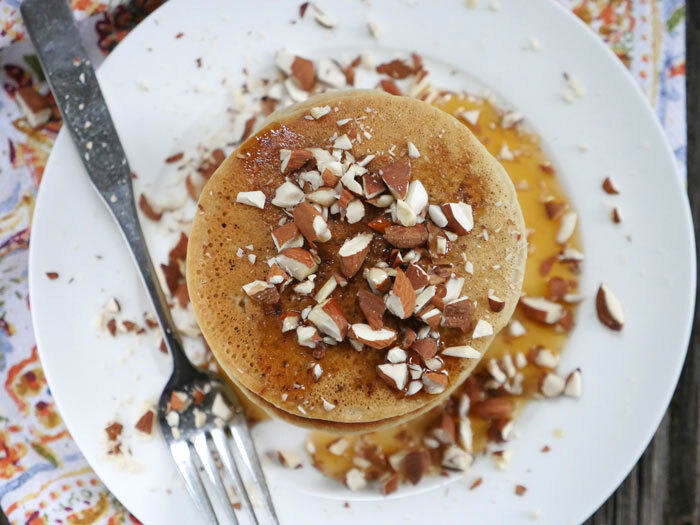 These are the best gluten free pancakes I’ve ever had… and maybe the best pancakes ever, period! They are so good! I added an overripe banana and decreased the coconut milk a tad to keep the consistency right. I topped them with whipped coconut cream and fresh strawberries. OMG. I want to eat them every day from now on. THANK YOU! I wish there was a way to post a picture, because they actually turned out beautifully browned and round, too, which is hard to come by in most grain free pancakes in my experience! I had to cook them on low heat though, because the middles took longer to cook than regular pancakes. Just an FYI to people about to make these! Mel, thank you! I just added that section (everything on my website is gluten-free but not everyone knows that) so I need to tag all of my recipes – just so behind! These pancakes are great, just like all of your recipes. One thing I noticed though is that there isn’t enough acid in the recipe to neutralize the baking soda. This is probably why so many people have a soapy baking soda aftertaste. A lot of people don’t seem to realize that when you are using baking soda The recipe has to have an acidic ingredient like lemon juice, vinegar, buttermilk, molasses or chocolate in it. I used baking powder instead and it turned out great. I accidentally used baking power vs soda. I’ll blame my new contacts. 😉 I also separated the eggs and whipped the whites. Then folded them in. Turned out great. The 3 year old kept asking for more. I’ll need to double the recipe next time. If you love the taste of baking soda, these are the perfect pancake. It’s just like a mouth full of baking soda. Wow, nothing quite like it. Sorry you didn’t like it – I will retest the recipe using less baking soda and if it turns out well then I’ll adjust the recipe. I wonder if you mixed it well? These pancakes are the best! We have always loved banana pancakes, so I added a teaspoon of cinnamon and chopped banana, and they were wonderful. We definitely prefer them over our old recipe. Maggie, I’m so happy to hear that! 🙂 I’ll have to add chopped bananas and cinnamon next time – sounds perfect! This recipe makes GREAT waffles, as well. I only added dried blueberries and they were delish. Hi Dinithi, my recipes were not working on mobile devices for several hours due to a website update, but they are working now! Sorry for the inconvenience! Flirting with paleo recipes so tried these pancakes this morning and they turned out wonderfully! Will try the other suggestions here to make them fluffier but overall the taste and texture didn’t make me miss wheat flour at all! Will be sure to check out your other recipes. These are great. I also subbed baking powder because I don’t care about a little cornstarch, but the fluffy texture is SPOT ON. Cook low and slow. Best Paleo pancake yet. Having a home bound husband who has had many health issues over the years, it has been hard to find things that he can eat and, more importantly, enjoy. Well, this recipe is a hit at our house! I did add a dash of salt, used the arrowroot, and used baking powder. I know that it is not easy to come up with all these recipes through much time, effort, money wasted in failed experiments, etc. So I say “hurrah” for you! You are what we call in the south “a God sent”! Thank you so much for this recipe! My son loves pancakes but grains and dairy do not like him. 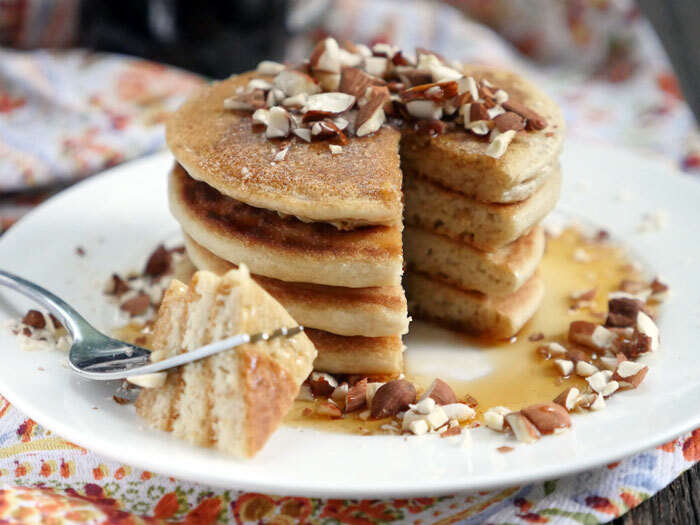 We’ve tried a lot of gf/dairy free pancake recipes and this one is our favorite. We’ve been looking for recipes using gluten free flours and have had many flops and disappointments; We were not disappointed this time!! SUPER recipe; we LOVE<3 LOVE<3 LOVE it<3 Thank you so much!! I made these pancakes and really liked them! I served them with pastured butter, fresh blackberries, a small amount of 100% maple syrup and a dollop of the full-fat, creamy part of canned coconut milk. Yummy! Delicious! My kids ate them up so quickly and wanted more! I didn’t blend it-whisked instead. Added a little pink salt too. I have been cooking paleo pancakes for years, but this one was is the BEST. 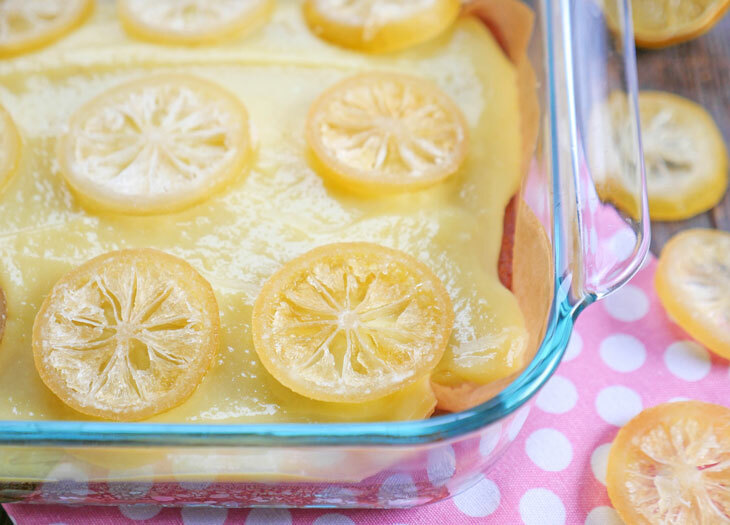 Just wow, thank you for sharing this heavenly recipe ! It is better than traditional , superb ! Very yummy I made some of these and they were great I did do two batches with one of them I added sugar and cinnamon at the request of my kid and hubby and they loved them, I will be making these again. I used this receipe…. IT IS THE BEST! I used vitamix to blend all ingridents and let it rest before cooking. It’s better than traditional pancakes and I don’t feel bloated after. Texture was a bit crispy outside and soft inside which I love. We served with pure maple syrup and diced mango. Boyfriend LOVED IT! He was so impressived as I was. THANK YOU! I’m so happy to hear that!! Thank you for letting me know how it turned out for you!! Any time I see a grain-free recipe for pancakes that says “like REAL pancakes” I always hope “Yes, maybe this is THE ONE!” But like all the others, it’s not. Comments on here saying that there was a strong baking soda taste were correct. I even added in chocolate chips to cover it a bit (still there!) and followed some tips I saw in the comments–I mixed the dry ingredients together then ran them through a mesh strainer (twice!) to make sure everything was well incorporated, added a bit of vanilla and cinnamon, like I used to with regular pancakes, and folded the egg whites at the end to keep the pancakes fluff(ier). I will give them that: they stayed thick, and folding in the egg whites did help most of them from getting too dense (but never fluffy like a real pancake). Then again, mine definitely didn’t come out like the video batter–it was closer to a cookie dough consistency. Of the recipes and mixes I’ve tried, it was the best one so far in terms of texture and thickness. But don’t be fooled into ever thinking a grain-free recipe is going to taste the same as the real thing–these have the same taste that almost all grain-free batters wind up with, and like others I’m just going to have to get used to it. That is so great to hear!! Thanks for letting me know how much you and your hubby love the pancakes! Hi Dawn, if it came out like biscuit batter then there’s definitely something wrong – my guess would be too much coconut flour? I love these pancakes! They’re the only grain-free pancake I’ve tried that actually looks and feels like a “real” pancake. I added some vanilla and cinnamon to my batter (and some extra liquid to thin it a little), and served topped with a vanilla cinnamon banana puree as a topping. Quick and easy! Definitely a keeper for me. Julie, so happy to hear that you love these pancakes!! And that puree is such a great idea! Easy. Fast. Fluffy. My 7 year old loved them. He said” if this is a healthier choice than I can do healty every morning. Mine were not as pretty but I will definately make them again. Has anyone tried to freeze them? Or can batter be refrigerated? Sofia, that’s so great to hear!! It makes me so happy to know your 7-year-old loved them 🙂 Also, the pancakes freeze well in my opinion! I was pleasantly surprised at how light and fluffy these were! And I didn’t realize they didn’t have sugar until I had made the first one; mini chocolate chips and cacao nibs were added so the sugar was not missed! Fabulous recipe that might be my new go to. Johanna, that’s so great to hear 🙂 Thanks for letting me know how the pancakes turned out for you! Glad you liked them! Great recipe—thanks! I made this recipe using a griddle and had a hard time getting the pancakes to rise. Since your recipe calls for only baking soda, I added a splash of apple cider vinegar and that helped a lot. What a fabulous pancake recipe! 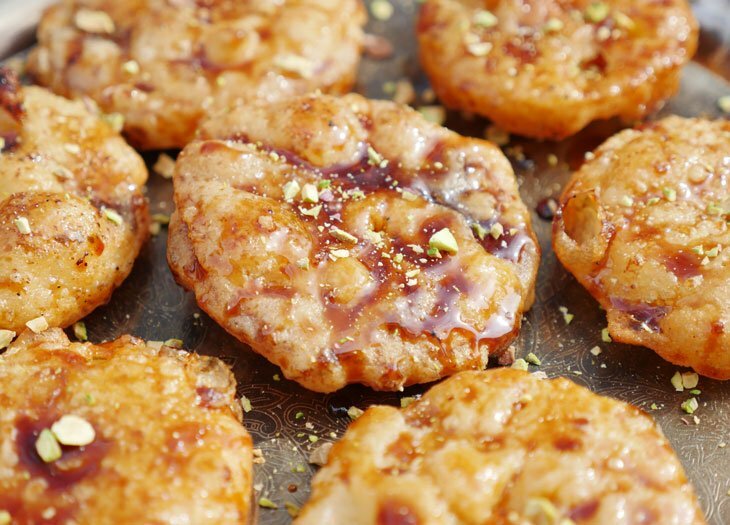 You really cannot tell these are Paleo when you make them! I added blueberries to the batter, and it added a nice hunt of sweetness too! My husband didn’t even know these were grain-free and dairy-free! By far, this is the best pancake recipe I have tried! Hallelujah!!! I just made this paleo pancakes recipe and they are DEEEEEEELICIOUS!!! I’m so glad I found it, it definitely kicks our Sunday breakfast up several notches! THANK YOU SOOOOO MUCH!!! Terry, woohoo! that’s so great to hear! Thank you for letting me know how much you like the pancakes! These pancakes were DELICIOUS! It’s been hard finding paleo friendly recipes that wer actually enjoy, but holy cow this one hit the nail on the head. Thank you so much for sharing!! Have tried many recipes and keep coming back to yours. Best one we’ve found. 🙂 thank you!! Today I added lemon peel and lemon juice (less water) along with lots of blueberries…..deeeelllliiish. Oh also…just in case anyone doesn’t have arrowroot or tapioca starch…whole root cassava works just as well. Have even added gelatin the past 2 times and they worked well. The do seem to brown quicker, and I’m not sure if it’s the cassava or gelatin causing this.. But I like them like that! Sarah, I’m so happy to hear that! 🙂 lemon blueberry pancakes sound amazing! And thanks for sharing about cassava! Fabulous and fluffy. The kids loved them and the protein and fiber made me very happy to feed them to them. We’ve a kid with Celiac disease, so gluten freedom is important, but many GF trades can be worse for you than the original and kids don’t always love what’s great for them. Anywhooooo these hit all the marks and we love them. Thanks you! Absolutely amazing! I love your recipes and this one will definitely be a staple for a family weekend breakfast. I have made this recipe using tapioca flour and today, with arrowroot flower. My preference is arrowroot flower. Tapioca flour has it’s place in some recipes but it can lead to a gummy texture, mainly in the middle of whatever it is I’m making. Arrowroot flour made these taste just like the real thing. My husband, who would put extra gluten on food (his running joke) was convinced these were the real thing. I think I’ll start using arrowroot flour for all of my recipes that call for tapioca. Ashley, do they always interchange so well? Thank you for your amazing recipes! As a chef and mom I try many recipies to try healthier, but tasty options for my kiddo and family. I have to say this is a fantastic easy pancake sure to please even the most scrutinizing palate. My 4 year old is a pancake lover and approves of this recipe. We live a nomad life and love the convenience (and small footprint) of prepared mixes. Before I was Grain Free I used to mix my own Bisquick in bulk. And Paleo Pancakes are a staple for me- satisfying thay bread craving wonderfully. Have you considered a pantry mix for paleo pancakes where we just add liquids? It would need powdered eggs. We could scoop out 1-cup mix portions and add water. Or have the mix amount for 1can coconut milk..
You’d be a Paleo superhero if this could be done. And yes, I’ve used many of your recipes and have massive respect for your contribution to the culture. This is by far my favorite grain free pancake! I also love that it doesn’t require an array of specialty ingredients that I’d have to make a trip to the store to get. So simple, yet so wonderful! They’re also a big hit with my husband who hints frequently that I should make them. I did cut the amount of baking soda in half. Thanks for sharing this!